Hwy 101 mile marker 65b. 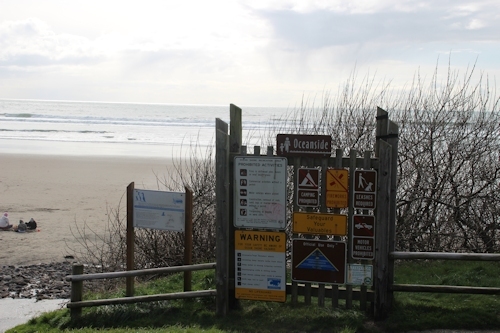 Oceanside Beach can be found on the "Three Capes Loop", to the West of Tillamook. 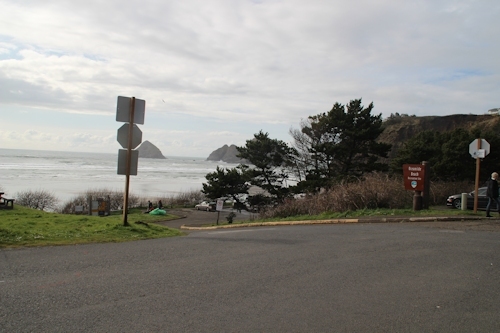 This is reached by taking Hwy 131 out of Tillamook and then turning right at the Three Capes Loop sign. For a shorter route, remain on Hwy 131. 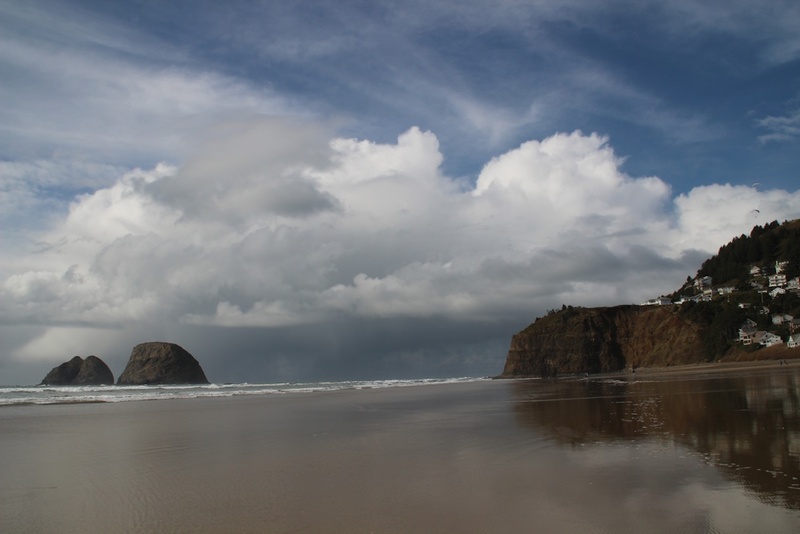 Instead of a route that takes you along the shallow Tillamook Bay, you will follow a winding road through hilly countryside, very pleasant in its own right. Here's a view looking north. The homes of Oceanside are visible to the right. A tunnel through this big cliff leads to more beach on the other side. Here's a view looking south. 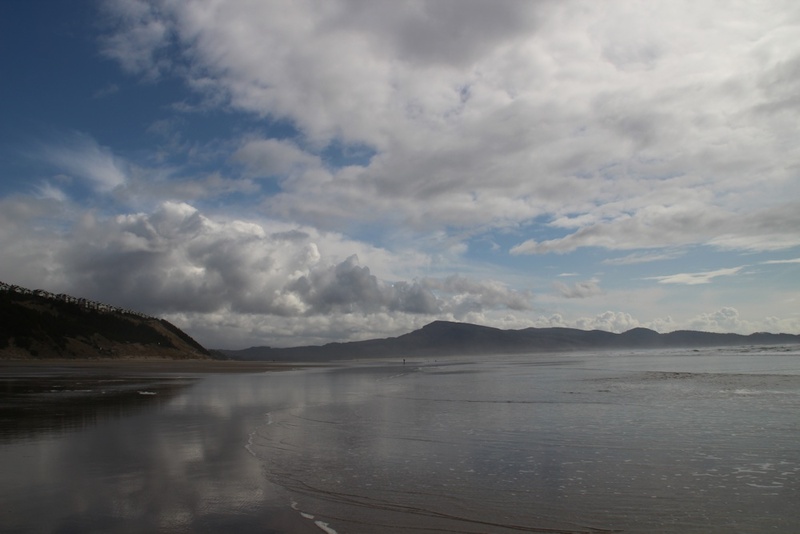 You can walk to Netarts and Netarts bay.